The event focused on highlighting the role of women in the tech industry as well as on fostering diversity and inclusion across different fields of life. The event was attended by officials, business leaders, professionals and thought leaders from the government and private sectors, NGOs, students, start up industry and Telenor Pakistan. Business leaders and accomplished female professionals, including Hania from the music group Zeb & Hania, Osama Abid, founder of DIY Geeks, Zeenat Khan, owner of Pappasalis Restaurant, Madiha Ilahi, Head of PMO at Teradeta, Khurram Rahat, Head of Data as a Service (DaaS) at Telenor Pakistan and Mrs. Shabnam Ashraf, owner of PSI School System shared their experiences and thoughts at the panel discussion, themed: ‘Challenges faced by women entrepreneurs and professionals in Pakistan’. A Women Health Seminar was organized to discuss and raise awareness regarding common health problems faced by women. Health kiosks were set up across the premises to offer free checkup facilities to the participants. The paramedical staff advised women on a number of health issues, besides offering multiple free and discounted screening tests on the spot. 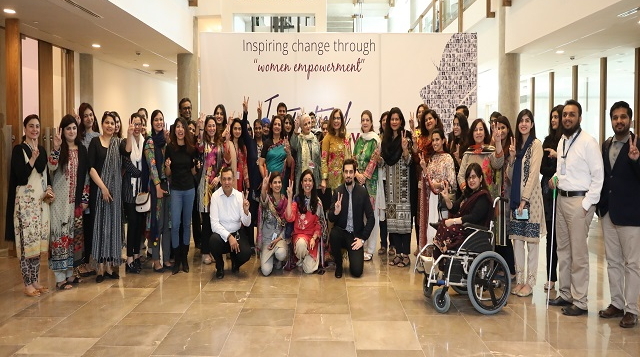 Telenor Pakistan is a leading proponent of gender parity and women empowerment, which contributes toward its vision of ‘empowering societies’. The company’s initiatives aimed at fostering diversity and inclusion in workplace were recognized at the recent “Diversity and Inclusion Conference 2018” held in Karachi where Telenor Pakistan won Best practice award for Diversity and Inclusion in the category of Flexibility, Work life Integration and Benefits.